The 2019 Acura NSX is built-for-fun, offering plenty of new features and a highly capable engine. Read on to discover the NSX's best features for 2019. One of the most significant changes in the mechanics of the new NSX is the addition of Continental SportContact 6 tires. (The previous model used ContiSportContact 5P tires in the same size.) The vehicle also offers significantly stiffer anti-roll bars as well as stiffer rear-toe link bushings than the previous model. In addition, the NSX has changed cosmetically -- It's available in a new orange, and it also comes with the option of adding orange-painted calipers. The grill is now also painted the same color as the body, which contributes to a sleeker overall look. 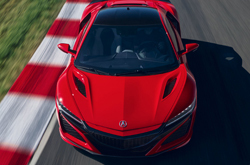 Which Trims are Available on the Acura NSX for 2019? 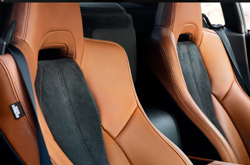 The 2019 Acura NSX comes with several options for interior trims and features. Every NSX comes standard with Alcantara leather interiors. In addition, the interior comes standard with a racing-inspired stern wheel -- outfitted in luxury leather with finger holds strategically placed to help the driver control the vehicle more effectively. The interior comes in either full-red or a blue and leather suede combination. The NSX's interior features super-slim A-pillars that allow for a greater degree of visibility through the windshield. This model features several options for exhaust silencing, ranging from Quiet to Sport + Track mode. The vehicle also features ELS Studio speakers on the interior custom built for the NSX. 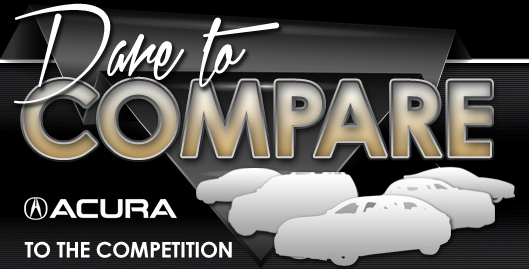 Acura refers to its NSX engine as the Sport Hybrid Super Handling All-Wheel Drive power unit. It packs 573 HP that is powered by direct electric torque. The engine is mid-mounted and twin-turbocharged. It is a 3.5-Liter V6 size hybrid electric engine. The NSX can go from 0-60 MPH in 2.7 seconds, and has a top speed of 191 MPH. 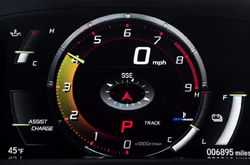 The 2019 Acura NSX features most standard safety features required on modern vehicles. While it's no secret that supercars don't prioritize safety, this vehicle is still just as safe as most other modern vehicles. Below is an overview of standard safety features on this vehicle. ABS brakes automatically sense when tires cease to rotate when the driver brakes, and automatically change the brake pressure applied, which allows the tires to rotate as they should. 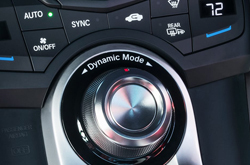 This feature allow the vehicle to sense when the car has been over-steered and automatically reduces engine power traveling to the wheels to prevent the driver from losing control completely. Front, side, overhead, and knee airbags are all installed in the 2019 NSX. The 2019 NSX comes equipped with a standard security system to deter theft.